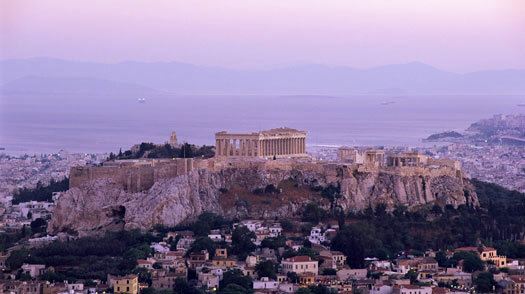 Athens' naming rights were won, legend says, when Athena trumped Poseidon's proffered well with a gift of an olive tree. The city's devotion was worth winning. Always famously lively, Athens is again at the cultural fore. Since its pre-Olympics revamp, the city has gone on re-creating itself. For visitors, there are plenty of novel pleasures: explore up-and-coming neighborhoods, find a few new galleries and bars, or mix with the city's cinephiles. That said, Athens' classic attractions have not faded. When the sun hits the Acropolis' high, stony hill, many other cities are left in the shade. Athens Guide: Find travel deals, hotels and more!